1) The foam roller provides a great way to get to the quads, IT band, hip adductors, abductors and hamstrings. 2) The stick can also be effectively used to target these same hip muscles. 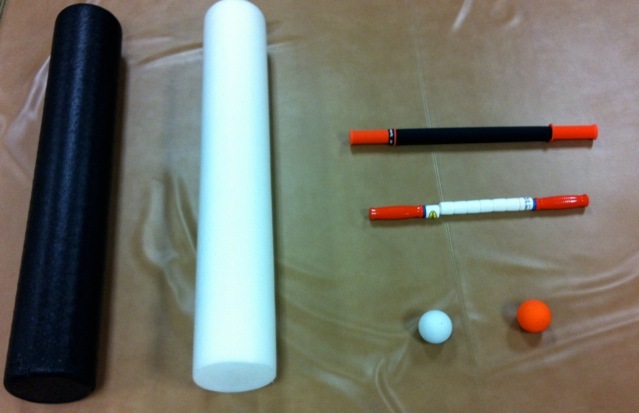 3) Sometimes the stick and foam roller aren’t always able to get to some of the deep hip muscles, this is when the ball comes into play. Place the ball between the wall and the side of the hip. Roll the ball above the big bony prominence on the side of the leg to get at your gluteal muscles; place the ball behind the bony prominence to get into the small hip rotators. 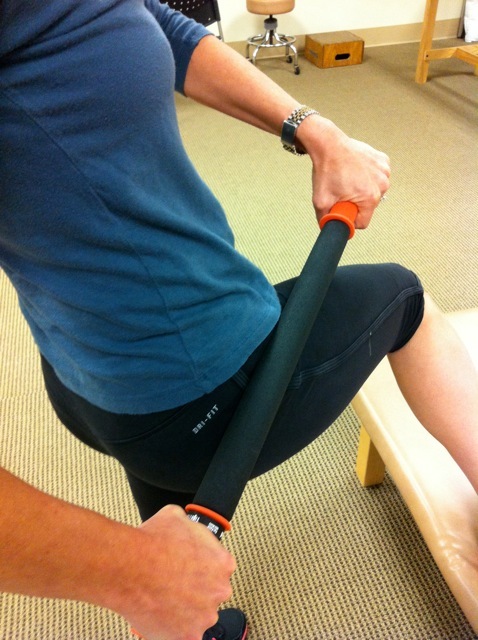 This soft tissue work can be performed before and after activity. Give each muscle group special attention, but only work them until you feel like you are getting improved blood flow to the area. Be careful not to work the tissues too much to avoid any increased irritation. For more information on effective soft tissue work to keep you running your best, like us on Facebook , follow us on Twitter, or contact our office.